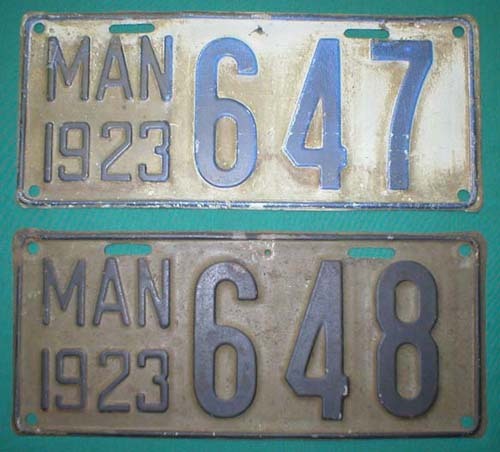 1922 (3 digits or less) - I need a pair of 1922 3-digit Manitoba Passenger Plates. A single plate can be seen here. 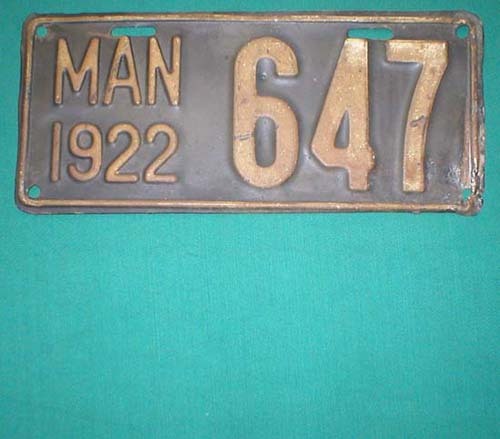 1923 (3 digits or less) - I need a pair of 1923 3-digit Manitoba Passenger Plates. A mismatched pair can be seen here.